English Grandmaster Nigel Short is the 2015 Thai Open Champion after a nail-biting final round in which the top two seeds crashed to their only loss of the tournament. A large crowd at the Dusit Thani in Pattaya watched top seed Wang Hao fall to Indian sixth seed Surya Ganguly in an exhausting 69 move encounter where Wang spoiled an endgame which appeared headed for a draw. Instead of tying for first and winning his first Thai Open title, Wang dropped to fourth place, overtaken by Ganguly plus Short, who ground down Diptayan Ghosh, and Poland’s Kamil Dragun who upset second seed Paco Vallejo. 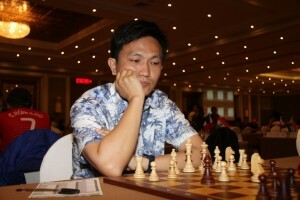 The top three players share 220,000 Baht, with Short edging out Ganguly for the title thanks to the strength of his opposition during the 9 day tournament. For Short the win was his second Thai Open title, following his 2012 triumph In Bangkok. 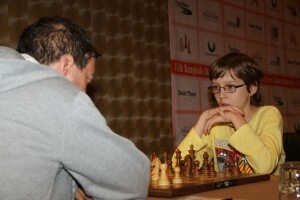 Short’s expectations were low after he lost in the fourth round to Filipino Oliver Barbosa but the English veteran responded by scoring 4.5 points from his final five games. 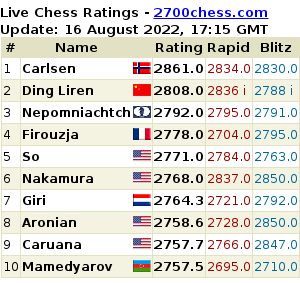 This would still not have been enough had Wang continued his winning ways, but Ganguly showed great endgame skills to outplay the top seed, paving the way for Short to take the title. Thailand’s challenge for the top placings ended in a whimper, Boonsueb Saeheng losing his final game to India’s P. Kartikeyan but still taking the prize for best Thai player on a tiebreaker from Wisuwat Teerapabpaisit. 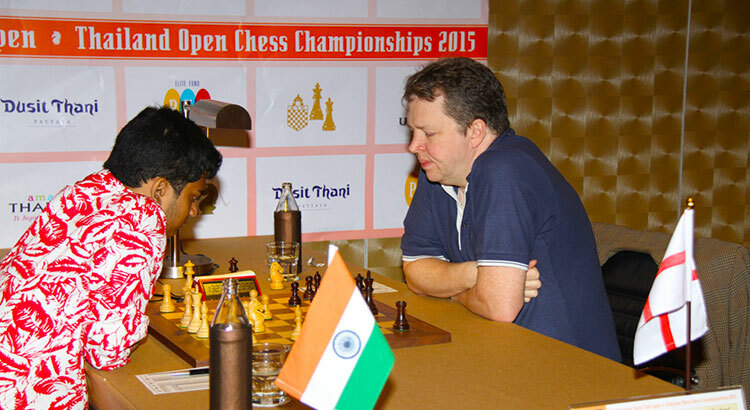 The Thai Open, organised by the Bangkok Chess Club, attracted 299 players from 42 countries to the Dusit Thani, one of Pattaya’s most luxurious resorts. Next month the Dusit Thani will host almost twice as many players at the 2015 World Schools Championship.